Camp is a powerful and focused time for our students. They will experience an environment of focused prayer, ministry, worship, fellowship, and fun like no other time. Year after year our children’s lives are transformed, and they come back with a new vision and passion for Jesus and His mission. This Camp is designed to help students renew their faith and love in Christ. God bless you for encouraging your child in his (her) faith. The basic format for the retreat is a time for your student to look at their relationship with others, to look at God, and their response to Him, especially through the person of Jesus Christ. A team of trained adults and young adults will facilitate the retreat. FEBRUARY 11TH – DEADLINE FOR EARLY ONLINE REGISTRATION AND DEPOSIT ($49) GUARANTEES SPOT AT CAMP. 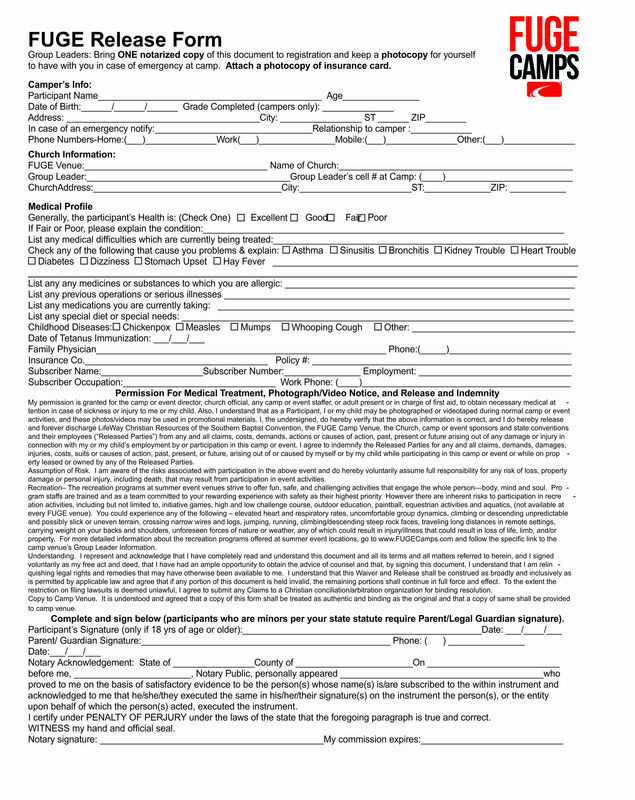 MAY 7 – FUGE RELEASE FORM DUE (Notarized and w/ Proof of Insurance) & REMAINDER OF CAMP PAYMENT DUE. How will we get there and When will we Leave and Return? pack the trailer and leave in a timely manner. We will be Returning to the church on Friday around 10pm. This years theme is “The Mission”. Everyday we will be uplifted and challenged through worship services, interactive teaching, fellowship, team games, food (my personal favorite), and ample free time to enjoy the camp facilities. We will be staying in dorm rooms with beds and bathrooms. Students must bring bedding and pillows, towels, sun protection, bathing suits (appropriate), spending money for snacks, closed toe and closed heel shoes for activities, toiletries – soap, shampoo, toothpaste, etc…, Bible, pen/pencil, and enough clothing for six days. Students are not permitted to have electronics while at camp (mp3 players, iPods, cell phones, etc…). We will allow them on the busses. Any electronics discovered after this time will be put in holding (by me or other leadership) and returned when the Camp is over. Students are allowed and encouraged to contact family at permitted times and all leader cell numbers are available for emergencies. Students are also encouraged to bring their own snacks and drinks. We will be providing enough bottled water for everyone throughout the week. *We swim and get wet, so please make sure your child has the proper swimwear and towels. Yes. Students will need money for breakfast and lunch on the way to Charleston and then back to Hopkinsville lunch and dinner (we will be stopping at fast food restaurants). There are plenty of places to grab snacks and drinks on site and students will be able to purchase snacks and drinks throughout their stay. *There is also plenty of souvenirs and clothing for sale by FUGE throughout the week. *Important – This RELEASE FORM needs to be notarized and a copy of insurance card attached. Please return to church office by Monday, May 7th with remaining cost.